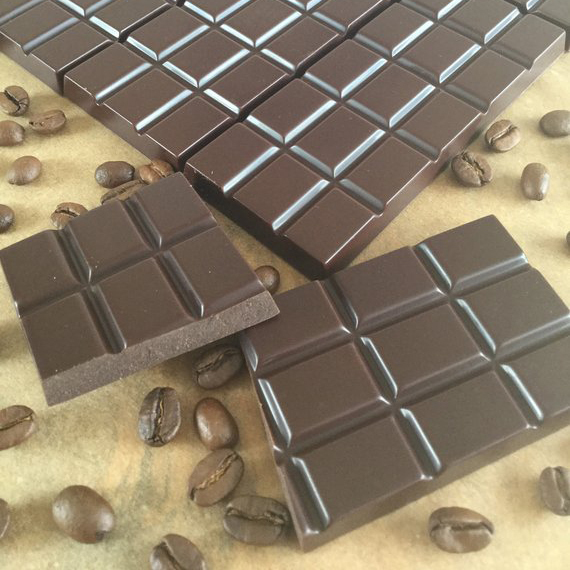 Enjoy a decadent bar of 67% Peruvian criollo cacao mixed with raw mocha - all packed in a lush bar of raw chocolate. Cacao beans and Coffee beans are already two delicious parts of life; combining them makes for a wonderful taste. Organic, dairy-free, soya-free, refined sugar free. Available as a pack of 5 bars, or stock up with a pack of 10 bars and get the 10th bar for free! 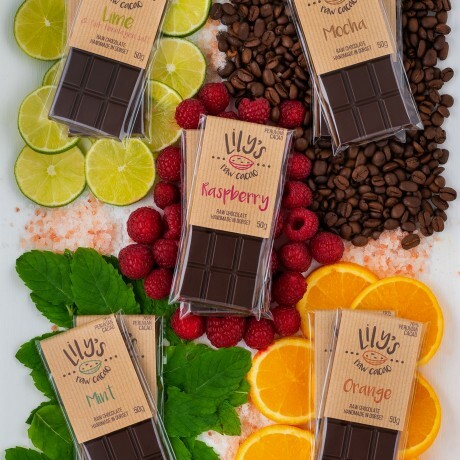 Lily works in her personal Dorset kitchen to handcraft every raw chocolate bar from scratch, using 100% natural, organic ingredients. 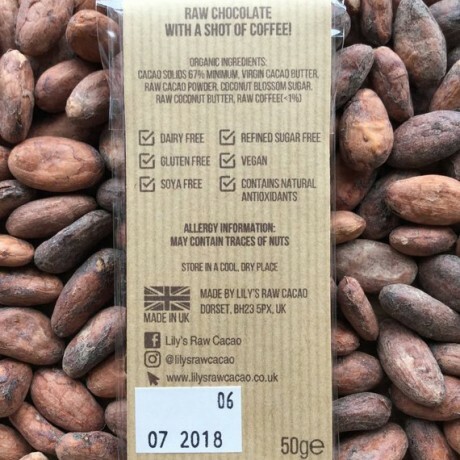 Peruvian criollo cacao is widely considered to be the `King of Cacao', as it is the most ancient type of bean, and it produces the most intensive flavours. 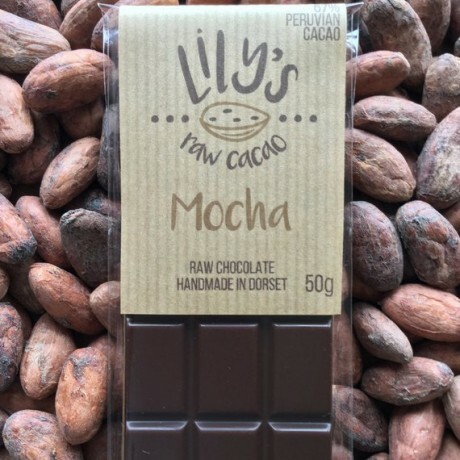 Lily ethically sources it from small farmer cooperatives in Peru. It is sweetened using coconut blossom sugars sourced from Indonesia. Being one of the healthiest and most natural sweeteners, coconut sugar maintains a low glycemic index and is thought to have a great nutritional content, such as amino acids, essential minerals and vitamins. Raw cacao itself contains many natural antioxidants, making it thought to be a very effective superfood; keeping it raw maintains all of its decadent goodness. Shelf life: 6 months. Store your chocolate in a cool, dry place. My favourite bar for the summer! Delicious raw chocolate bars which are 100% natural and organic.